To explain my life, I refer to an old song called “A Coat of Many Colours” - a child of poverty wears a handmade coat, assembled with pieces of various colours & fabrics by her mother to keep her child warm. Others saw this coat as a reflection of her family's poverty but the child saw it as a sign of her mother's enduring love & she treasured the bright hues & patterns, appreciated the careful, tiny stitchery that held the pieces together & she felt loved & blessed. That story reminds me of my passion for BEING. I see each day is a gift, unique & beautiful. Just like each colourful patch in that child's coat....so many things to be grateful for. Sitting outside, watching leaves dance choreographed by breezes, creating sculptures of light & pattern, clarity & darkness build my appreciation of BEING. In late 1990, at the age of 42, I was diagnosed with breast cancer. In those days, mammograms were for those women 55 plus. Mom had a radical mastectomy in late 1974 while I was pregnant with our first son so an unusual skin bump (for three months) made me question & seek advice. My doctor immediately dismissed that particular surface thickening as “just a skin thing”, but he found something else deep inside during the exam. I had a tumour in the milk ducts of my left breast. Within ten days I had my first mammo (a surgical consultation & surgery). Remarkably, a week after the diagnosis, that strange skin bump disappeared. It makes me wonder if that “skin thing” was an angel warning to be aware. After two surgeries complications arose & I struggled with severe infection. Because of my greatly-extended hospitalization rumours abounded in our small community & school friends told my younger son (10yrs old) that everyone knew his mother had cancer & was going to die. I found that out accidentally and it broke my heart because he never spoke of it to us. 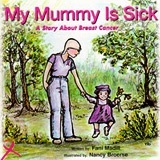 Ultimately, after recovery, I worked with another cancer survivor to create a children's book about a family dealing with breast cancer – the intention is to introduce discussion and open the lines of communication between parents & children. Now sold out long ago, all proceeds were given to the Ontario Breast Cancer Foundation We wish to republish this important book in the future. Cancer treatment always has side effects so you have to deal with those as well. Radiation scars the arteries & veins so several years later I had to struggle with cellulitis in the left arm (a form of blood poisoning from the streptococcus germ). Hospitalized for several weeks & then again after my father had unexpectedly passed away, I had become so worn down. During this I was running a retail business, taking care of my widowed mom, dealing with a very dysfunctional sibling situation, taking college courses & prepping my artwork for our book. Around the same time a simple spider bite allowed the strep germ into my blood & infected me from the groin to my toes in both legs. The cellulitis destroyed the valves in my legs that squeeze fluid back up to the body core & has left me with chronic lymphodema - basically extremely-swollen feet & legs. The pressure of the excess fluid creates gnawing pain & throbbing & makes walking/standing painful & unsteady. I had to learn how to walk again & still use a cane, especially for steps & curbs. Humbling for sure being fiercely independent, how I hate asking for help. But I had to learn to ask when necessary & find most people very willing to be kind. Two serious car accidents, our lives saved only because we drove a big Buick Park Avenue, added to the scars & wear on my body. Being rear-ended by a heavy truck caused extensive dental damage so that I am now, for the second time, getting braces to redirect my shifting teeth back into place. Shortly after four plastic surgeries removed a basal call carcinoma from my cheek. Being extremely fair, that nurtured great awareness of the importance of awareness of our environment and our bodies' vulnerability. Then I was diagnosed again, in late 2012, with breast cancer. This time on the right side & Stage Two meaning the cancer had already passed through my lymph nodes & moved into my body elsewhere. I am almost halfway through a five year treatment of medication that is to prevent the renegade cancer cells from forming a new tumour. As with everything it comes with a price: severe bone pain; attacking places that already have arthritis (created by the car accident damages), nasty insomnia which prevents healing rest, strong hot flashes & other fun things. Each day now is an adventure. Sometimes, I am forced to sit down and just do my crocheting while other times I dedicate a day to doing as much as possible while I can, come home exhausted and in pain, yet feeling productive. And in that crazy unpredictable lifestyle how can anyone ever be bored? Each patchwork piece of my life is unique and always colourful. Always personally hand-stitched with humour, gratitude & insight. From each experience, I am gifted with a new wisdom, a new perspective about life & a maturity that mellows; another “patch” to wear. Sharing my passion, my art, my writings, my sarcastic wit & love of terrible puns, and wisdoms learned from my experiences has led me to a stronger, more confidant & wiser me. It has been a slow process as I walk my path & continue to learn daily. My life is sprinkled with humour. I confess to a great love of terrible puns. I'm accompanied by my witty husband and our amazing two sons who have inherited this same talent. Laughter abounds at our house. Studies prove that humour has emotional and physical benefits to one's whole being. Laughter is aerobics for your insides and lowers stress, promotes healing and supports the immune system - all part of my basic life skill tools. Years ago I questioned my role here on earth trying to understand my purpose and my gift to the world. I felt lost, scattered and without an anchor. As I watched and learned from my (and others') actions / decisions. I took responsibility and lived the accountability of my own actions as I guided our two sons to adulthood. In doing so my questions faded as I finally realized my true role. Just BE MYSELF. That is enough. Share myself...my gifts, my joy. Everything I do, every word & action, affects others. I discovered there will always be situations that are unfair, hurtful, disruptive and offensive. I have learned I can choose to allow an emotional knee-jerk reaction, to dwell in anger and to simmer with hatred. I saw that in doing so I was handing my personal power over to the one who provoked those emotions. I have learned that the alternative is to make a mindful response, acknowledge my emotions, then...most importantly... let them go. This way I maintain my own power and can move on. It is now MY choice not to allow others to “push my buttons”. It's MY choice not to resent the carelessness of a truck driver on his cellphone who rear-ended and almost killed us. It is MY choose not to be self-pitying or negative at another diagnosis of cancer. I can choose instead to smile at strangers, to help others, to express my delight when I feel it and to make people laugh. Living life fully and dealing with challenges brings me closer to the authentic me. It places me where I am who I am meant to be... finding joy, peace in and appreciation for the roadblocks in my path that teach me survival, new perspectives and gratitude for the simplest things in life. I've learned to love myself despite my mistakes, my faults, my wrinkles & my love for tea and dark chocolate. 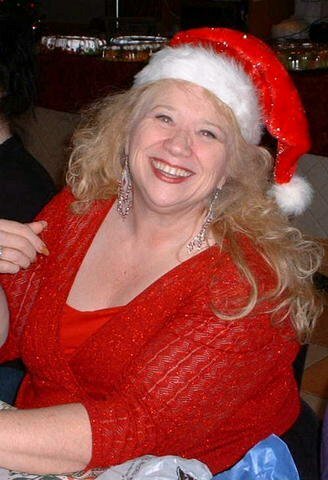 My joy of life is expressed in art, writing, humour & creating special events to help others. I was humbled to receive recognition for over forty years of volunteerism – how fast those years flew by. Slow down? Tell me to stop breathing. Part of my journey is in learning to delegate instead of taking everything on myself. Being a Type A perfectionist is difficult. I am hardest on myself. I have lost count of messages received from friends andeven strangers telling me that my words, positive attitude, or caring has made their own struggles easier and comforted them. Even given them a new way of looking at life as an example to them about staying positive. This confirms that I am on the right path. Letting go can be difficult yet that, in itself, is yet another gift. I wear my “coat of many colours”... of many passions... and share my joy in being alive. Wisdom found and each positive learning experience is another colourful patch earned on my journey. As an Illustrator by trade, I compile & write a number of books. One created for and dedicated to my mother - ”A BOOK OF CHOICES”, remains pertinent to seniors who are slowly losing themselves to dementia. I even create Mandalas, a tool used by ancient Buddhists & Tibetans to facilitate meditation. Studies prove that mandala work lowers breathing and heart rates, and lowers blood pressure thus releasing stress. Always supported by my incredible family, my life is also filled as a visionary with organizing more fundraisers, BPW events & meetings, sorority, teaching & creating art. I struggle with being seen in a bathing suit but plan to begin swimming to strengthen my muscles. Each colourful patch of my “coat of life”, is embellished with a rainbow of sequins (Aha! Moments), golden threads of happy memories, and silver links that bring understanding as the seemingly-random pieces join. Each represents an incident or lesson learned...and each, in itself, remains a complete story. Yet, carefully assembled each patch binds to the rest to form a new “whole”...my life...my crazy exciting, journey....as I continue to assemble a garment of love, learning and constant evolution. All carefully stitched together by time and experience to illustrate the many facets of my passion, skills and adventures are worn with pride. Life is a great gift. BPW is a Proud Member of Our WOW Directory. Resonate with YOU or Someone YOU Love? 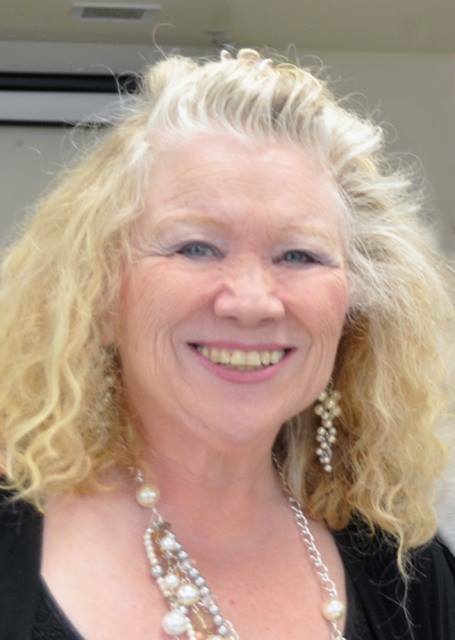 Nancy has been an 18 year member, held many positions and strong supporter of BPW (Business & Professional Women of Niagara with monthy events & yearly conferences.